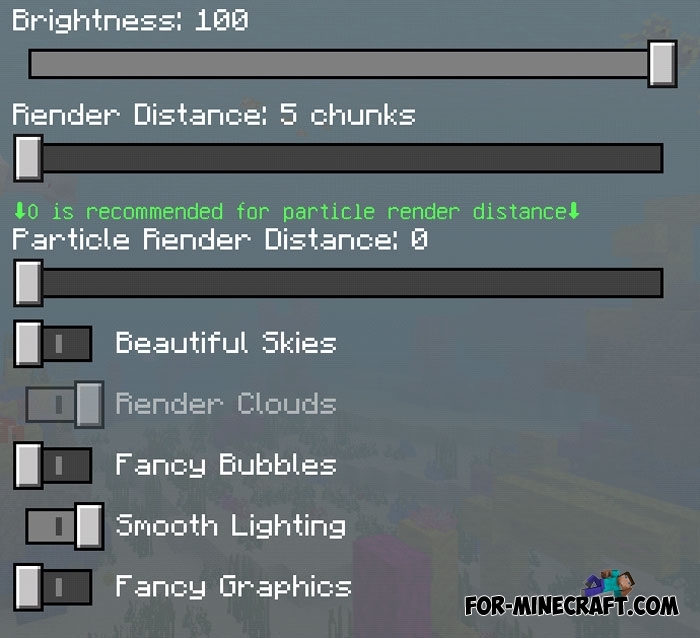 In order not to waste time searching for certain settings, you can use the More Settings addon. 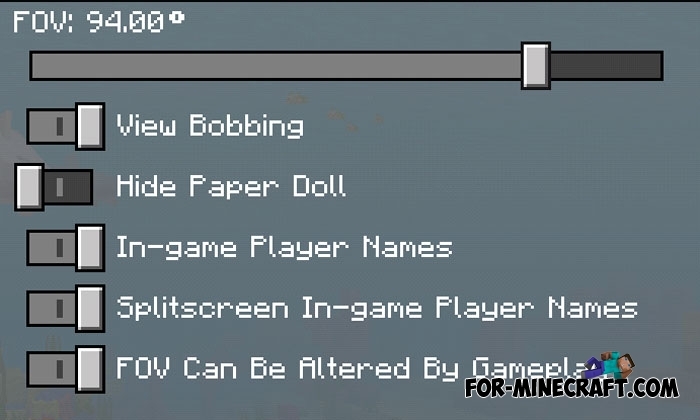 In fact, Quick Options is about the parent for this addon and it's just an updated version but with new features. Now often used settings are highlighted in separate tabs that is much more convenient to use when you are absorbed in the game and do not want to be distracted by the scrolling menu. PvP update that can make your fights easier by getting some superiority over other players. Flowers are reduced and no one can hide in them. If you burn then the fire will take only the bottom of the screen without blocking the view. Updated crosshair (clearly visible, more accurate). 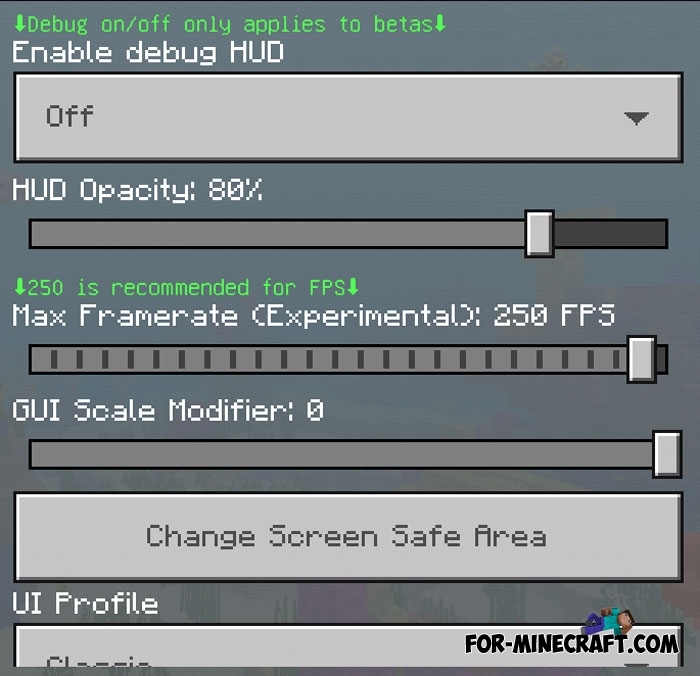 You should use it at least because the creation of screenshots without HUD will be accelerated several times. 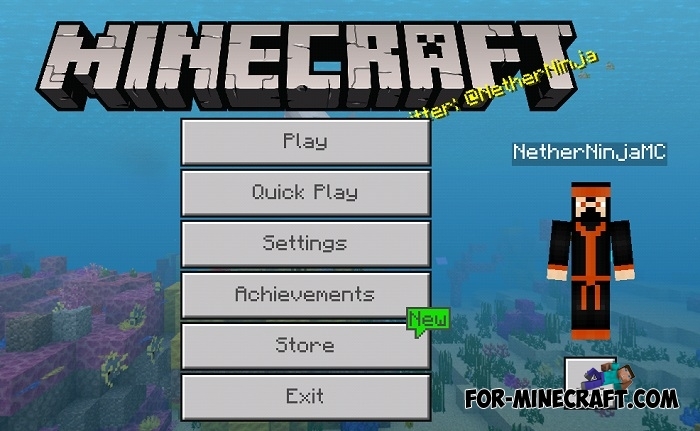 The existing settings will help you to optimize the Minecraft BE graphics faster to the level that will be optimal for your device. 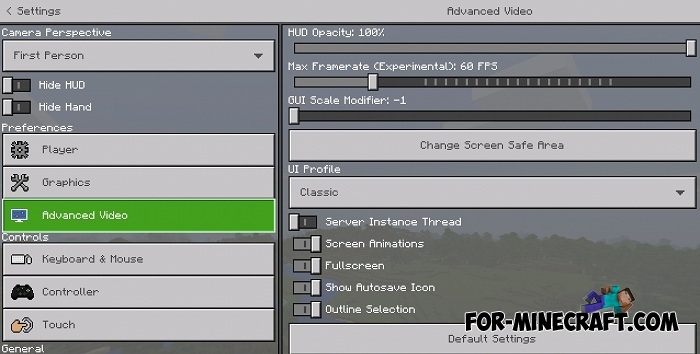 How to install the More Settings addon?